AN £80 million fund to help deprived communities has been delayed for so long at Stormont it is putting frontline projects at risk, grassroots groups have claimed. The Social Investment Fund (SIF) was proposed in 2010 by First Minister Peter Robinson and deputy First Minister Martin McGuinness, and was later launched with the pledge of making “life better for people” in Northern Ireland’s poorest communities. See here for further information on claims that a political row over the definitions of ‘need’ in Catholic and Protestant communities is at the centre of the logjam. Meanwhile, community groups say the delay is making it difficult for them to plan ahead, that it is endangering viable projects, putting jobs at risk and could even see groups lose funding they secured from elsewhere. It has emerged that Belfast City Council is trying to safeguard substantial grants that it offered on a time-limited basis to community groups, but which might lapse because of the delay in top-up funding that groups hoped to secure from the SIF. In a further development, a member of one of nine influential Steering Groups set up across Northern Ireland to oversee SIF, has questioned the wisdom of trying to construct an entirely new funding system in the Office of First Minister and Deputy First Minister (OFMDFM) when such structures already existed in other wings of government. The steering group member, who wished to remain anonymous, said: “The problem has been that the programme was never set up properly. “A lot of the background work which we had assumed had been going on, hadn’t been done, in some ways still hasn’t been done. “SIF has just been a project that they really shouldn’t have started until they had all those issues addressed, including the application process and the appraisal process. “Groups have spent time and money on this, and their expectations have been raised. But the fund was originally supposed to have spent over £50 million by today’s date and was to have invested the final amount of nearly £30 million by 2015 – this pledge to invest £80 million was included in the Programme for Government. The decision to delay the next Assembly election from 2015 to 2016 has provided an extra year to spend the money. However, while some groups want cash released urgently to save important building projects, others fear that separate schemes to tackle underlying and more complicated issues in poor communities may not have enough time now to be effective. When the DUP and Sinn Féin formally unveiled their idea for the ambitious fund ahead of the 2011 Assembly election, they were accused of planning it as a political stunt to win votes. And though they insisted their sole intention was help deprived communities burdened by generations of unemployment and poverty, the scheme has been undermined by bureaucratic red tape and political wrangling. Stormont sources responded to concerns over the delays by pointing out that decisions on spending public money had to be carefully considered, and said that in every funding process there will be disappointed groups who miss out. The issue has slipped from the political radar, but while some might have assumed the OFMDFM delays in delivering SIF had little direct affect on community groups, organisations from across the political divide have now revealed that the stalling is creating unnecessary stress. Mr Robinson and Mr McGuinness recently hosted an international investment conference in Belfast with Prime Minister David Cameron, and this week the Stormont leaders go to the US to attract vitally needed new jobs. But back at home, groups fear delays in the Social Investment Fund could endanger existing employment opportunities. Martin McGuinness, Peter Robinson and David Cameron discuss overseas investment. The Detail spoke to a range of community groups. They were not asked to comment on the political wrangling over the SIF programme, but to focus instead on how the delays are affecting their work. Most groups said they had been supportive of the plans to launch the fund, and welcomed the initial pledges to address urgent needs in their communities. But they all reported growing concerns at the slippage. The Lower Ormeau Residents Action Group (LORAG) has been involved in community work in south Belfast since 1987. It said it believed many groups were frustrated by the delays in the fund. “It is affecting groups right across the community,” said a spokesman. “There are a range of projects that are ready to go, but there is still no word. LORAG’s Gerard Rice said community organisations would be pleased to see a positive decision on the Social Investment Fund, but the mood among grassroots groups as a result of the delays was that they had almost given up on it. The Belfast South Community Resources (BSCR) organisation is an example of a group that is based in a unionist area recognised as a location of high need. Operations manager of the Sandy Row based group Garnet Busby said it had applied to SIF to fund important training and employment opportunities. “Obviously the delay is hurting because two, maybe three years ago, it was promised as a thing which would lift areas like this, in the top ten per cent of areas of deprivation in Northern Ireland,” he said. “We had planned to build a community hub here and a social economy project. We have employed at our own risk architects and others to come in and look at the plans and develop that project. “It was priority number three in the south Belfast area plan on SIF. But it hasn’t went further. Manager of the Falls Women’s Centre/Ionad Mhná na bhFál in west Belfast Susan McCrory said her organisation has been offered an £80,000 grant from the city council, but hoped to secure the additional funding it needed from SIF to extend its building to meet demand for affordable childcare, advice, counselling and education projects. “My expectation of SIF was that it would allow us to expand all our services – especially affordable childcare to lone parents and those on low income. “We could then create further employment, of three to five childcare workers, and move towards a point where eventually our childcare provision would become more sustainable. “The delay matters to us because, even before the Social Investment Fund came in, we were looking to expand – the economic recession has seen demand for our services triple. The group invested money in drawing up a business plan, hiring an estate agent and a quantity surveyor to value their project, and had been given signals that the project was being well received. She said the centre can find no other viable funder. “We have to open three or four nights a week to meet demand, because we haven’t got enough room to meet needs during the day. “The SIF scheme gave community organisations hope; hope that they could become more sustainable. “Now at the moment we are stuck. We can’t get moving. It is just keeping the pressure going in here. Nine SIF steering groups were set up to cover different regions of Belfast and Northern Ireland. They began reviewing the needs in their areas and working with consultants to identify possible projects last October, before successfully finishing the task by February. A number of people on various steering groups have said that after substantial delays, they felt this work rate represented a quick turn-around and required a major effort on their part. Organisations on the ground, however, said they felt they had been largely left in the dark since then. 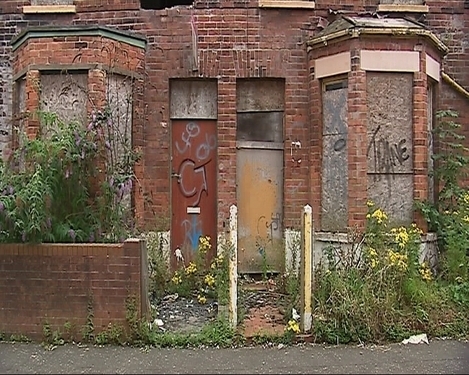 Deprived communities say delays in SIF funding is hampering their planning. An additional community group, providing a range of services to deprived nationalist and unionist areas, also said it was initially optimistic about the potential of the £80 million fund. But it said it believed that groups across Northern Ireland had been left disillusioned and disappointed by the years of delay and uncertainty. A member of the community organisation, which is remaining unnamed, said: “As each month passes without a decision being made on which projects are going to be funded, it is having more and more implications for the capital projects, where a lot of them might be dependent on match-funding. “The revenue projects – tackling big issues such as unemployment or early learning – if they get approved, they are going to be so rushed between now and the current end of the fund in 2016 and there won’t be time to build them up in the proper way. They added: “Community groups, you could say like a business, have to plan. “Most community groups have no long-term sustainable funding and many will have made plans for work they hoped they’d be doing through SIF. Not all of the groups The Detail spoke to had a negative experience of SIF – but those tended to be groups who were able to look elsewhere for support. A manager at Shankill Women’s Centre Lesley-Anne Kinnon said that initial workshops on the SIF had left her organisation concerned that since it did not have a capital project ready to go – or “spade-ready” – it might miss out on funding. The group instead sought more limited support to help research a proposal for a building project, which it could then pursue at a future date. It had hoped that a second round of SIF funding might have eventually emerged. “But at the moment it just seems to be up in the air,” she said. The Shankill centre eventually opted to seek funding outside the SIF pot and it now hopes that the decision to secure a back-up plan will have paid off. The Shankill manager added: “But going back to square one, there was this massive argument that the Neighbourhood Renewal project was already in place – the work was done on it, the action plans were sitting there – and the argument was, why not give the additional funding to DSD [Department for Social Development] and let them give the money out. “And that is something that we would still stand by – if the money hasn’t been spent, give it to DSD and keep running with Neighbourhood Renewal. 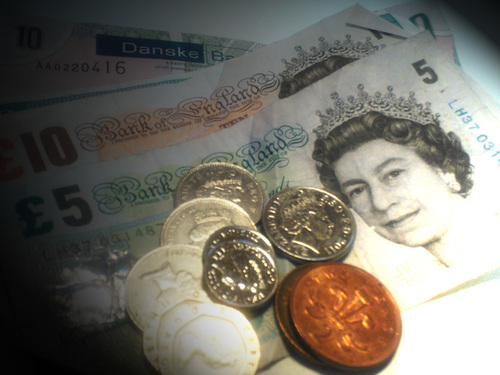 COULD SIF DELAYS HIT OTHER GRANT AID? A number of groups have said that by waiting so long for news from the Office of First Minister and deputy First Minister on the future of the Social Investment Fund, they missed opportunities to seek grant aid elsewhere. Others planning major projects such as the expansion of premises or the renovation of buildings were offered grants from separate sources, but are relying on SIF to deliver the top-up funding they need to meet their full costs. It is unclear how many organisations in Northern Ireland risk losing other time-limited funding as they wait in hope of securing match-funding from the Social Investment Fund. But in Belfast the city council confirmed it was working with community groups who feared they might lose grant aid promised by the council, because of the long delays in decisions on possible top-up funding from SIF. A spokesman for the council said: "Belfast City Council is providing total funding of £5 million to support physical improvements in 65 community facilities in Belfast through its Local Investment Fund, which is part of the council’s £150 million Investment Programme. “Around half of the schemes are dependent, to different degrees, on match funding from other sources, including the Social Investment Fund. The source of match funding however is a matter for each of the groups and is not for the council to comment on. The Detail understands, however, that it is unclear how the looming shake-up of local government in Northern Ireland – which will reduce the number of councils from 26 to 11 – might impact on the efforts of Belfast and other councils to ring-fence grants far into the future.